that heaven dumped on us last night and I had a thought.. 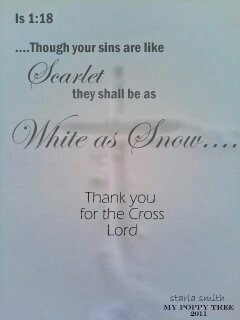 THIS IS HOW CHRIST COVERED OUR SINS……….COMPLETELY —WHITE AS SNOW. Thank you Jesus for the gift of COVERED SINS. I thought this song by Hillsong was fitting I hope you enjoy it and are blessed ! !